As you may guess, we receive quite a lot of reports in the Demography team regarding swans. So far this month, we've had 26 reports of Mute Swans, 10 of those were reported alive and 9 were ring-read sightings, one was caught in netting and released. Of the 16 swans that were reported dead, the stated cause of death was: hit by a car; flew into overhead wires; sick; or oiled. We have also received a remarkable report of one swan that lived for 20 years and we got its whole life history (it was a long report), who it was paired with and what happened to them. This bird managed to raise quite a few cygnets in its time, and even survived being shot in the head twice, but unfortunately it didn't survive the third shooting. 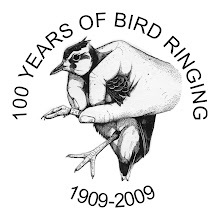 Last year we received a lot of reports regarding the other white bird, the Barn Owl, but this year we have had relatively few. Of the 12 reports received so far this month, seven of them had been found dead (one with its head down a rabbit burrow) and four were hit by vehicles. 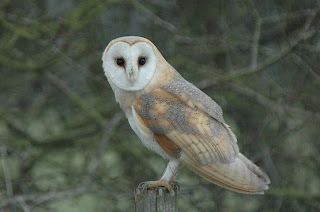 The last one was reported by a bird of prey centre who report that they are increasingly receiving Barn Owls which have been killed by Buzzards. I'm not sure how common this is or if it is just restricted to the Fife area of Scotland. We'll have to keep an eye on this. 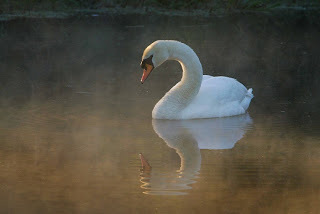 Thanks to Edmund Fellowes for the Mute Swan picture and Neil Calbrade for the Barn Owl.